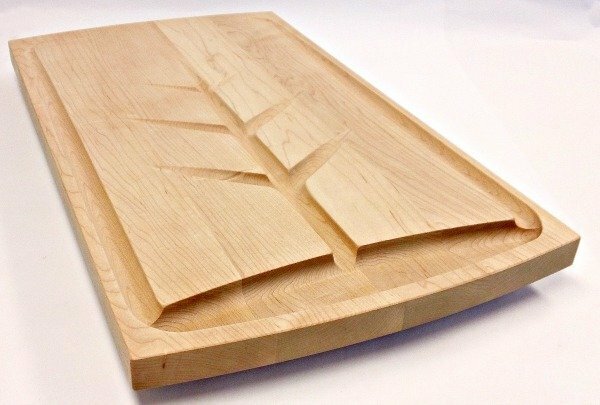 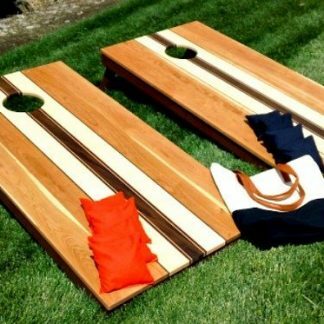 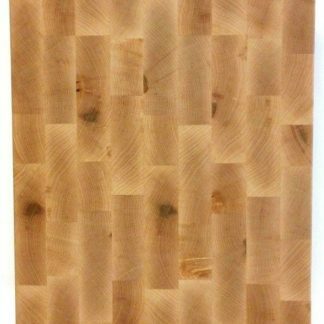 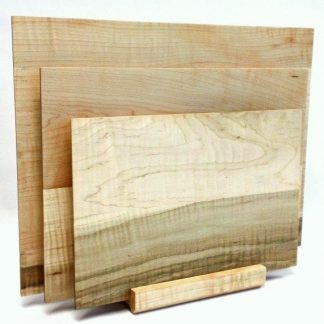 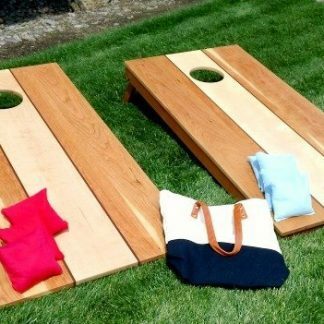 Our maple carving board is light colored with a subtle wood grain that gives it a clean yet elegant look. 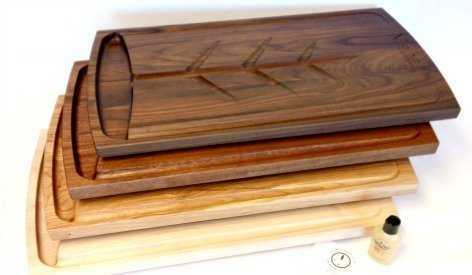 1.25″ thick, 14″ wide and 24″ long with a juice well and one end and room for your family name to be engraved at the other. 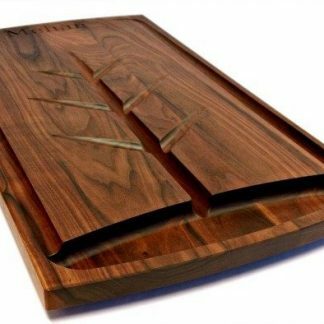 Juice grooves engraved into the board are tapered down into the well and help prevent meat from slipping on the board while being carved. 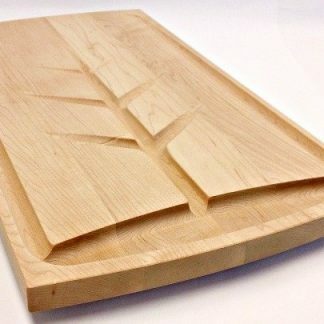 Our maple carving board is light colored with a subtle wood grain that gives it a clean yet elegant look. 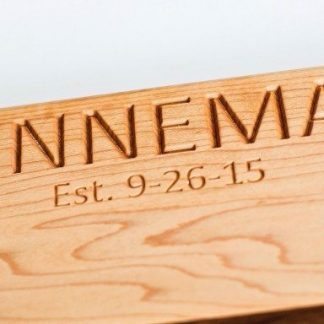 1.25″ thick, 14″ wide and 24″ long with a juice well and one end and room for your family name to be engraved at the other. 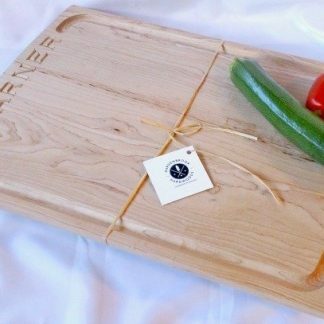 Juice grooves engraved into the board are tapered down into the well and help prevent meat from slipping on the board while being carved. 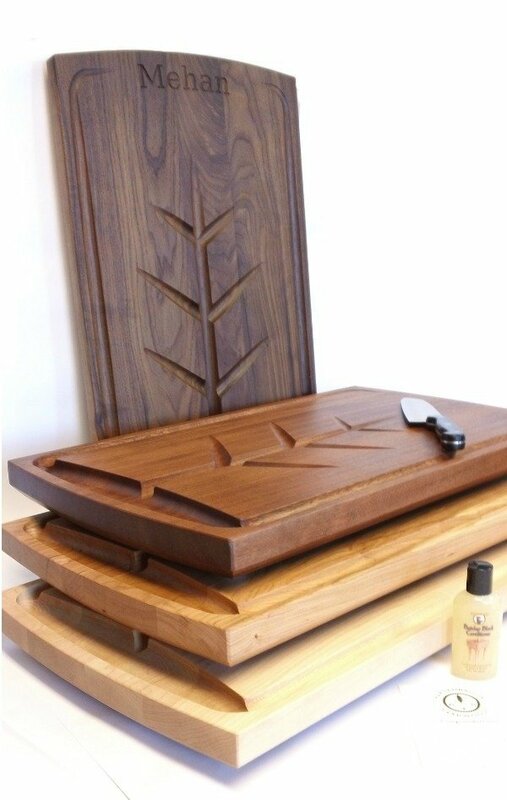 Sides are beveled and n0n-skid feet are secured to the bottom with stainless steel screws to prevent slipping on your counter or table top. 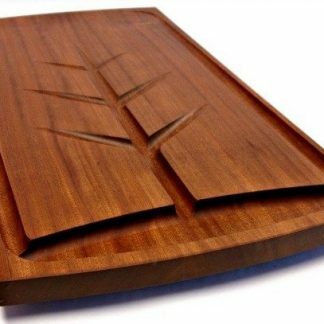 The back may be engraved with a logo and a personal message of your choosing.